This gaming glasses buying guide will walk you through all the important features of gaming glasses, that you really should know. You will learn about the many benefits of gaming glasses as well as what additional features to look for when purchasing. All the options out there may seem daunting at first, but this guide simplifies everything. Whether you are an avid gamer or an office worker, gaming glasses can provide some benefit to you at home or at work. With advanced eye protection and improved visual performance, gaming glasses are becoming a top-seller among people of all different walks of life who use the computer or television often. Gaming glasses are used to protect your eyes from the glare of the computer or television screen. Gaming glasses prevent glare-induced headaches that are usually caused from too much continuous light reaching the eyes. These frames are usually an amber color – this increases the contrast of the colors on the screen. 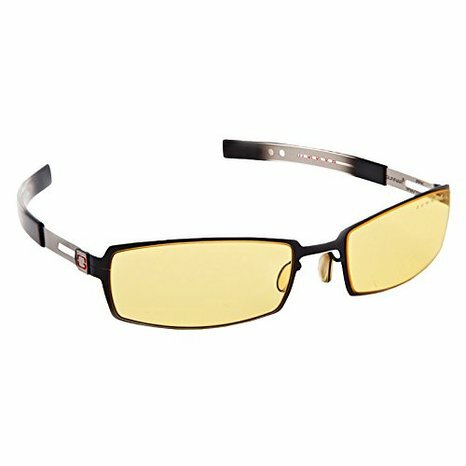 Gaming glasses are also anti-reflective, creating even more protection for your eyes. They are usually water and dust repellant and scratch resistant. The basic function of gaming glasses is to prevent eye strain while playing video games for long periods of time. Should You Buy Gaming Glasses? If you play video games for long period of time, you should buy gaming glasses. You also have an edge over other players who do not wear gaming glasses. For example, you will see images larger and more clearly allowing you to respond quicker to your opponent. This is an especially good advantage when you are playing games that have a lot of pop-up instructions on the screen. When you wear gaming glasses, you can easily escape reality. It is common to get so into a game that you are determined to finish the last level no matter how long it takes. Gaming glasses allow you to play for longer periods of time without discomfort, as well as a lower level of fatigue that you would encounter without them. Also, the close-fit of the glasses puts you more in the zone of the game. Gaming glasses are very easy to wear. They are lightweight and look similar to sunglasses. You may find that you look more fashionable when you wear them as well. Amber tinted lens increase contrast of images on the screen. Anti-reflective material protects your eyes from overexposure to light. Made of several multi-functional layers for extra features, like protection from dust and water. Resistant to scratches and smudges. These popular glasses come with a full rim. They have a broad frame, which is good for different shapes and sizes of heads. That means that it can be bought by a wide range of customers. The glasses have even weight distribution ensure comfort when you take them for long periods of play time. The glasses are comfortable because they have no pressure points and fatigue. They have anti-glare coatings and amber lens tint. For clarity, they have a distortion-free optics. The lens is about 59 millimeters thick. The Gunnar Optiks PPK-00101 is another type of gaming glasses that are made from high-traction steel. The frame has a glossy onyx rim with an ultra clean lens that provides a clearer vision for serious players. Filters UV rays and blue light gives a better contrast and protect your eyes. It has a 57-millimeter thickness with a filtered spectrum of light coming into your eyes that replicates natural light, thereby preventing visual stress. If you are a graphic designer, video editor or a gamer, then Gunner’s full RIM color will be useful to you. It improves visual performance and reduces strain for those with 20/20 corrected vision. It prevents and reduces eye irritation. It has a durable frame, has a fastener free hinge design which guarantees comfort in the course of wearing them. The thermoplastic rubber temples allow for headset compatibility for a comfortable fit. The good thing about this set is that they are versatile and can be worn for a variety of tasks with maximum reliability. There are those couple of games glasses that kills the harmful glare screens, and have special designed lenses that have a proprietary and coating that block high-energy glares and UV rays. The Gunnar MLG Phantom is light and comfortable with a level weight distribution. It reduces combat fatigue while also framing your face to protect your eyes from air currents that cause irritation and dryness in the eyes. 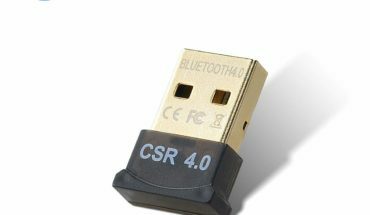 It is ideal for computer and television screens with the yellow amber hue. For optical stability, has an adjustable silicone nose pad design. It is made of stainless steel frame and rim. The cups have an ultra-slim temple accordingly distributed Headphone pressure and headset compatibility. They are high-performance vessels that are recommended by doctors. It has a 60mm lens wide, 16mm bridge and 120mm temple length. The Vayper full RIM advanced video gaming glasses provides panoramic viewing field to ensure you have a tasty and fun gaming experience. The views you get from the vessels is delightful that you could lose track of your time while you’re gaming. Its frame and design are conformed to fit heads of various shapes and sizes and provide comfort while you play. 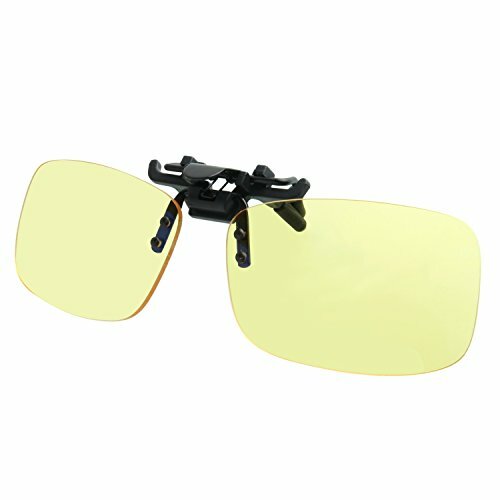 These are glasses that professional players should have in their team. You do not have to worry about focus and blinking in front of your monitor. Gunnar Optiks INT-06401 with cobalt frame end has a lens tints that block filter blue light and block UV improve contrast. The lens design limits air currents and increases moisture preventing irritation caused by dry eyes. The patented optical design sharpen detail and make images clearer. It is a special hardcover layer on the outside that increases its durability. 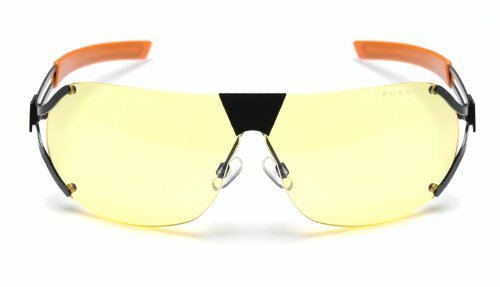 The Gunnar Vinyl Computer Gaming Glasses (VIN-00101) full rim frame and temples (arms) are made from high quality aluminum-magnesium alloy, with a lens width of 57 mm, arm length of 135 mm and 15 mm bridge width. They have a quad-core hinge design, micro-engineered locks to secure the lenses and proper balance and weight distribution for comfort. The GUnnar VIN-00101 have a wide framework allowing a comfortable fit for a variety of head shapes regardless of size, so they can accommodate everyone. The lens itself significantly reduces digital eye strain from HEV blue light, but also blocks UV to protect the eyes. 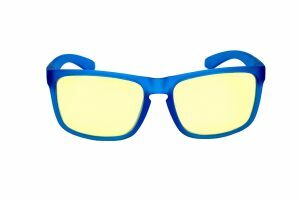 The Gameking Classic Clip-on Glasses frame for gaming has a high contrast lens that blocks 85% of harmful blue light and 40% of overall blue light. In addition the Gameking Classic also blocks harmful UV, is scratch and stain resistant and anti-reflective. The lenses promote contrast and saturation, subtly increasing game details and improve shooting accuracy. The curved lens cuts down on peripheral light improving focus and concentration. 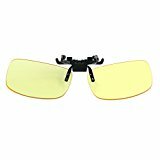 The anti-glare coating reduces reflection and helps gamer attention to detail, and the clip-on design will attach easily to almost all frame types and styles. With its unique square lenses and lightweight construction, the Gunnar Optiks ST003-C001 guarantees long wearing comfort without fatigue. It is a semi-rimless design and minimizes peripheral distractions. Despite its semi-rimless composition, covers his eyes substantially and offer adequate protection. The Gunnar gaming glasses MLG Phantom with snow / onyx framework which i-AMP technology and framework fit for a wide range of head shapes and sizes. Provides a panoramic display with incredible style and comfort. In general, all these glasses have some common characteristics such as one year warranty. What some people will over others in their choice of glasses. They are made in order to protect the eyes and make images appear better. It is therefore wise to check what suits you, go ahead and buy it. Again, it is for your own good that you save yourself a pair of these glasses. If you already have them, recommend them to a friend you used to play games with, it will make the activity more competitive and interesting. Who Can Benefit from Gaming Glasses? Gaming glasses have so many great features that people who don’t even play video games are buying them. Graphic Designers use gaming glasses to improve their vision while designing logos and websites on their computers. The glasses help them see the contrast in colors better. Video Editors use gaming glasses to improve overall visual performance. Editing videos requires a lot of attention to detail. Beach-Goers sometimes wear gaming glasses as sunglasses. 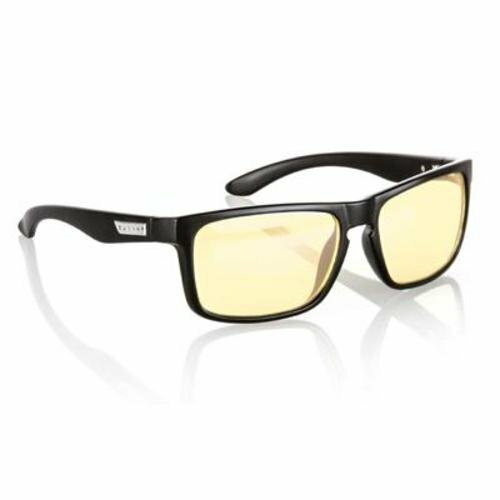 Some types of gaming glasses also have a coating that protects the eyes from UV rays. Office Workers are beginning to follow the trend of gaming glasses in order to prevent eyestrain. Sitting in front of a computer non-stop for eight hours per day is a definite way to harm the eyes. Gaming glasses allow office workers to work without that discomfort. Everyday People randomly purchase gaming glasses because they are fashionable and functional. You have to admit, these glasses look pretty cool. Once you have decided to make the purchase, there a few additional things to keep in mind. First is the price. Gaming glasses range from $80 to $500. The size of your budget will affect how many additional features you can afford. The best advice is to get the most value for your money. There are some brand names for gaming glasses, such as Gunnar, which as synonymous with gaming glasses as RayBan is for sunglasses. In a nutshell, gaming glasses have plenty of useful features for gamers and anyone who uses the computer for long periods of time. The basic features protect you from eyestrain and glare-induced headaches, as well as filtering out harmful blue light that can cause problems with sleep and headaches, especially when taking part in long gaming sessions. More advanced features protect your eyes form UV rays and come in a variety of colors and sizes. Purchasing gaming glasses will be well worth the money. Just make sure you do your research. As you have read in this article, the quality of the glasses ranges a lot. Whether you want a basic starter pair or one with advanced features, these glasses will improve your gaming performance and give you a lot more comfort. Gaming glasses will be a purchase you’ll never regret.